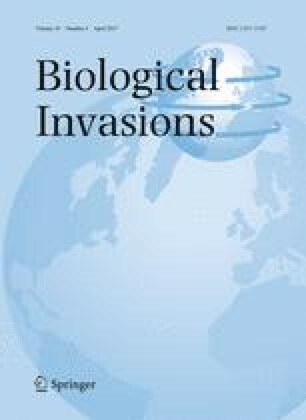 Invasive alien plant species such as Chromolaena odorata have negative impacts on biodiversity, ecosystem services and human well-being. Ecological impacts of this shrub are relatively well understood, but its impacts on local livelihoods and perceptions are poorly documented. We mapped C. odorata distribution in eastern Africa (Ethiopia, Kenya, Rwanda, Tanzania and Uganda) and compared perceptions and quantified the impacts of this species across Tanzanian villages with varying degrees of invasion density. Data were collected through 240 household questionnaires. Results indicate that C. odorata is a relatively new invader that already has severe negative impacts and is threatening livelihoods and the environment. Impacts include reductions in native biodiversity and the amount of available forage for livestock, reduced crop and water yields, and impaired mobility. Continued spread will cause additional negative impacts on poor rural communities. Implementation of a biological control programme targeting C. odorata is needed as a cost effective management approach along with other control and restoration measures. RTS, DMR and AW acknowledge support from the DST-NRF Centre of Excellence for Invasion Biology (C.I.B). During the writing of the paper AW was supported as a C.I.B Fellow. RTS acknowledges additional support from Stellenbosch University through “Consolidoc” funding through the office of the Vice Rector: Research, Innovation and Postgraduate Studies. DMR received support from the National Research Foundation of South Africa (Grant 85417). CABI through the CABI Development Fund funded much of this work, including the socio-economic surveys, while the JRS Biodiversity Foundation provided resources to undertake surveys and produce distribution maps. Tim Beale (CABI) developed the maps. Thanks to Mr Victor Rotonesha and staff from the local Department of Environment and Agriculture for assisting with the socio-economic surveys and the Grumeti Fund and staff for supporting much of the work.